Brothers Casey and Jesse Cooper, otherwise known as synth pop duo The Receiver, hide deep in their bedrooms in Colombus, Ohio where for two years they have beavered away in the making of this introspective album of dream pop. I say that they “hide deep in their bedrooms” as that is the impression given by these forty or so minutes of navel-gazing pop bliss, as if the protagonists would have trouble saying “Boo” to a ghost. 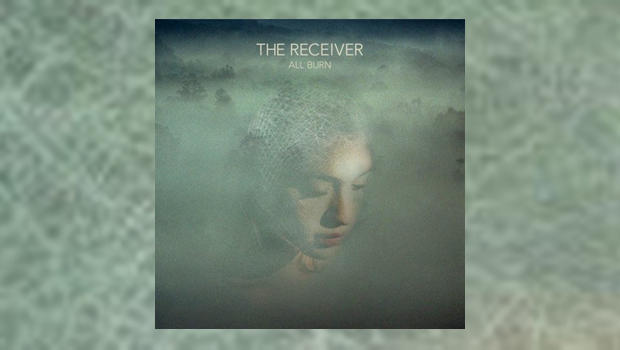 A sort of introverted cousin of labelmates North Atlantic Oscillation, The Receiver dream away their reveries, the delicate vocals breathing tendrils through the lost boy synth pop of the music. When a harder edge is required the duo can do that too, as To Battle An Island shows, and the sound here as throughout is gorgeous. This is the band’s third album, and although self-produced they have drafted in a highly experienced mixer and a similarly talented masterer, in the forms of Danny Kalb and Brian Lucey who between them have worked with Beck, Sigur Ros, and many more. A rich seam of modern Euro pop is mined by the duo, the cosmic Collector managing to sound like Mew jamming with Air. Dark Matter is a neat little pop tune that has a kind of naive ’60s psychedelic charm, almost Beatles-like in its paisley apparel. They also claim Pink Floyd and Radiohead as influences, and the former is certainly apparent on April Blades. I have had this album for quite a while and it has taken many listens for it to seep into my weary pores. Once lost in its warm and cosseting grooves I realise that this is the perfect album to put on in front of a roaring fire and a glass of your favourite nectar, to escape these dreary grey late autumnal days. As I only have a promo copy with no lyric sheet I can only guess at what the brothers Cooper are trying to sing to me, as it is all indistinct, dreamy and far off, but it probably does not matter as the voices are just another wash of instrumentation as I float in this warm bath of sonics. The title track is the slowest song on the record, a pleading piano-led ballad, which like the other tunes on this record while musically uncomplicated, compensates by laying on the atmospherics, this time round with a simple and brief sub-Rick Wright synth motif to die for. How To Be Young returns to the Euro pop template and These Days almost threatens to bop…almost. If I have one criticism, in creating the atmosphere of blissed-out reverie that covers the album like a fluffy blanket, the duo have maybe left the dynamics of variance at the door. You could easily drift off while listening to this, but perhaps that is the intention? Probably the reason it has taken me so long to review this is as soon as it finishes I have trouble remembering anything about it, another problem stemming from lack of real hooks. However, if you like North Atlantic Oscillation, there is no reason not to enjoy this ephemeral dreamboat of an album.